An estate sale is a fantastic way for a person or their family to liquidate contents of a home and also get it cleared out so it can be sold. Moving, downsizing, or a death in the family. Everything will be set up, displayed, researched (if needed), priced and sold over a 2 or 3 day period. 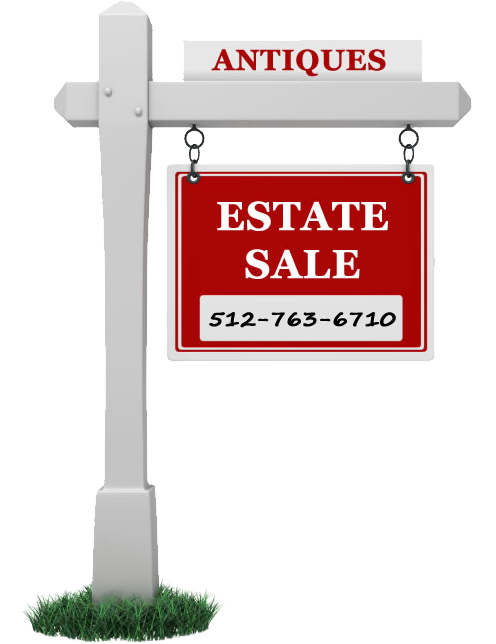 We have been doing Estate Sales in the Austin, Georgetown, and surrounding communities for over 8 years. Scott was once a General Manager for Tony Roma's and Logan's Roadhouse before deciding to get his Texas auctioneers license and leave the restaurant business behind for good. Being a licensed and bonded Texas auctioneer sets us apart from most people that do estate sales. Very few , if any, people in this area have these credentials. My Texas Auctioneers license # is 16921. Once we have a signed contract we organize, take many photos to display on various websites, display and price items to sell in a short time frame. All care is taken to research any item I am not familiar with. Then we advertise and hold the sale. I am available almost anytime to consult with you. My direct cell phone line is 512-763-6710. © 2019 Steinbach Auctions S. P.